Update 05/11/16: Today, the Project Fi website was updated with a quick way to see what numbers you have blocked. 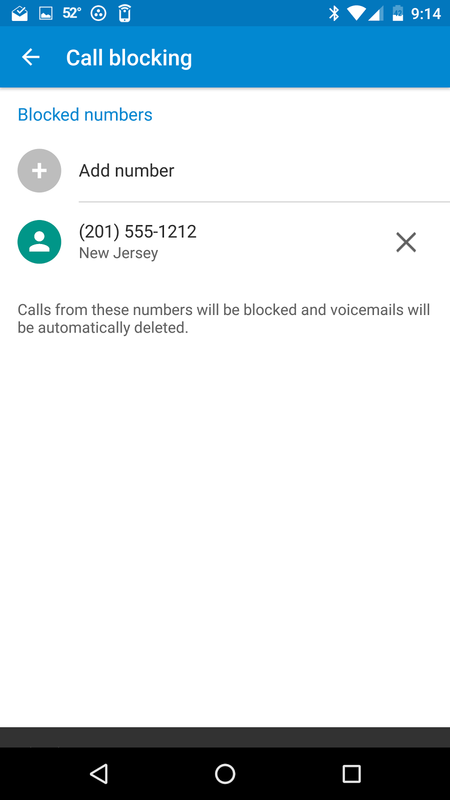 This will show you a complete list of numbers that you blocked using Hangouts or via the Project Fi app on your device. 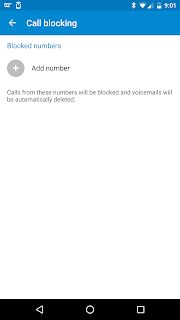 This will not show you the numbers you blocked using the stock dialer. If you were one of the lucky few to get the update to v.2.3 of the Phone Dialer today when, for a short period, the app was added to the Play Store as a standalone program, you are in for a nice surprise. This update brought with it a highly requested feature that users have been asking for a long time. 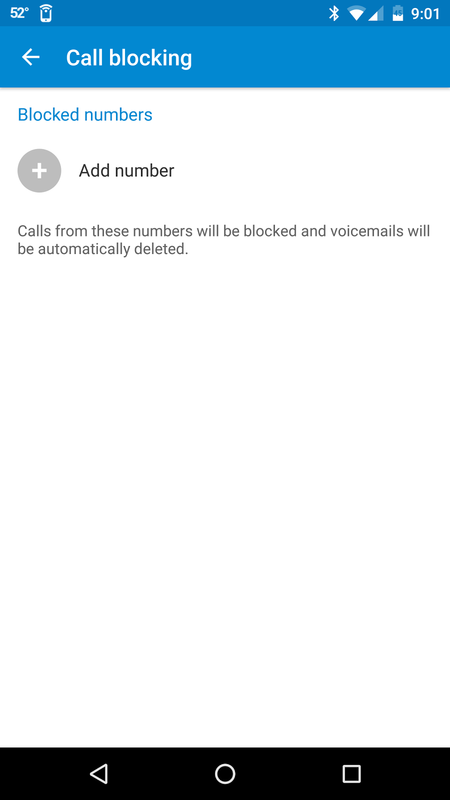 As you can see below, you can now block calls from specific numbers right from the stock dialer. 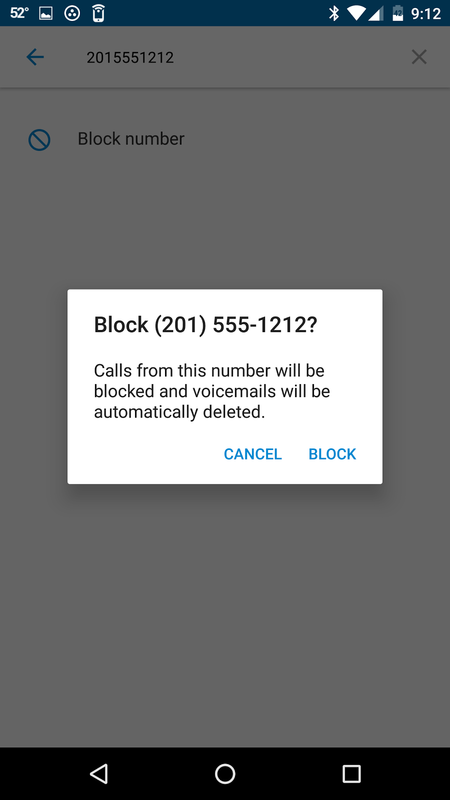 In order to setup call blocking, just tap settings, and choose call blocking. Tap the plus sign and you can enter a number or search your contacts, and then just select block number. 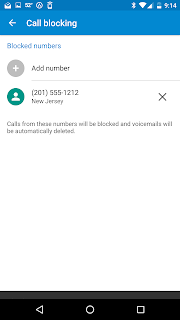 You are then presented with a confirmation popup that tells you that calls from this number will be blocked and voicemail will automatically be deleted. 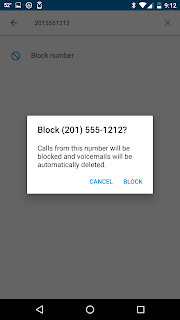 To unblock a number, just go into the Call Blocking setting and tap the X next to the number you want to unblock. Please note, this will only block the call from ringing on your device. It will still appear to the caller that a call is going through. I am sure this is a very welcomed featured. 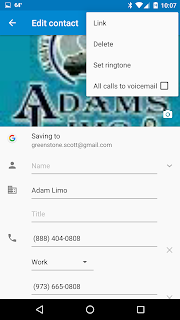 Another way to block a caller for Project Fi, is to navigate to the Google Voice page via fi.google.com and click on Google Voice on the bottom of the page. From there, if a caller left you a voicemail, you can find the call, and select the more option and choose block. You can also block callers from reaching you using the contacts app. Simply search for the contact and select the edit icon. 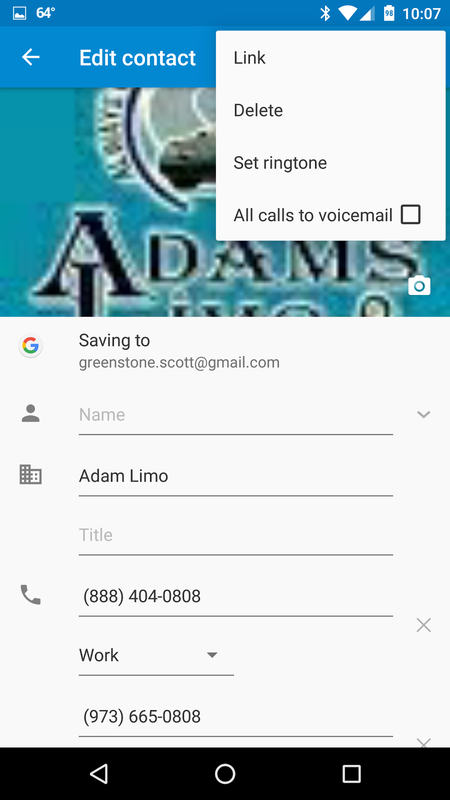 In the three dot menu on the top right and place a check in the All Calls to Voicemail option. So essentially its not blocking the calls but rather sending them right to voicemail so you don't have to speak to them. Who are you going to block, mother-in-law, ex-girlfriend, bookies? Awesome - I didn't even know I had gotten the update, but I guess I did... 'cause I'm on 2.3.12 and I just blocked a spammer who called my yesterday. Scott, Thanks for posting this information! Why was it removed from the Play Store? That would be a nice feature to have, since just today I got a telemarketer call.